Hey guys, so last week on my YouTube channel I did the speedy makeup challenge, which is where you do your makeup in just 3 minutes. I typically spend 35 minutes to an hour doing my makeup so this was a real challenge for me. I’ve embedded it below in case you haven’t seen it yet. I hope you liked the video. If you can’t see the embedded version, click here. 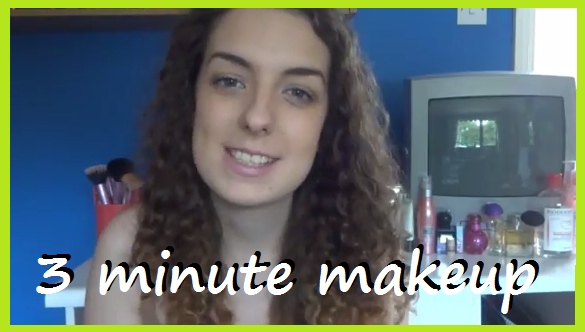 Have you ever attempted the speedy makeup challenge?? If not, what was the shortest time you had to get you makeup done? Did you succeed? Leave a comment below.